Another novel idea adds to the convenience of finding your keys easily. 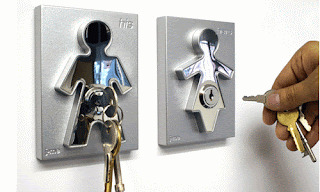 The His and Hers Key Holders are made in a mirror chrome finish, include a lock and key and are so easy to use. Simply attach the key to your keyring, when you get home insert the key into your lock. It will be there when you need to leave. Another "Why didn't I think of that?" product. Now, here is a novel idea packaged in the shape of a key. Wonkey is a product that just about anyone who has ever gone out for dinner to a restaurant, probably wished they had on their key ring. 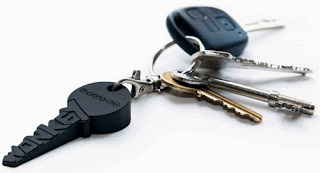 Wonkey is designed to look like a key and fit appropriately on your keyring. It is made from silicone rubber for maximum grip and durability. Simply unclip the Wonkey from your keyring and chock the appropriate table leg. Problem solved. But remember to take it with you when you leave. 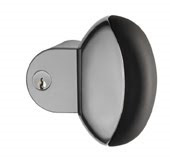 Our very popular Pocket Door Lock with Key, is being snapped up by many customers, thank you. Perhaps the most common question I receive is, "Will it fit in place of the existing lock I have?" My answer to this common question is, "definitely". This lock has been especially designed to replace the common pocket door privacy sets found all across the world. Here is how the installation is performed, according to the manufacturers instructions. While I suggest that your carpenter or builder be asked to install it, it is a reasonably straightforward project for the home handyman to perform, presuming they have the correct tools. **NOTE** This product is designed for doors up to 42mm (1-11/16") thick. Each lock comes with a plastic template to guide the installation. I suggest that a jigsaw be used to accurately cut the extra depth necessary for the correct installation. Be sure to follow the instructions correctly and in about 1-2 hours your project will be complete. Install the screws of choice. Mark the mortise strike fixing and complete. At only $125.00, there are few, if any competitively priced alternatives. The Meroni UFO deadlocking product, that we have raving on about recently, can be used in many other applications apart from vehicle security. As these pictures show, the product excellently and efficiently secures, solid glass doors, wrought iron gates, front and rear entrance doors. The product's use is only limited by your imagination. Stylish lever entry sets can be combined with an auxiliary internal mechanism that allows use on different applications. 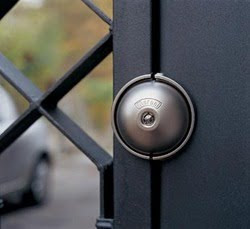 Combine it with a knob entrance set for top-class security. Glass Doors, come with a kit tailored to install without necessarily perforating the glass. The body of the UFO model, common to all applications, contains four mobile steel drill-proof spheres which foil any attempt at forcing. The company claims that the key locking cylinder is also drill-proof. Beautiful, stylish security innovation from the home country of Leonardo Da Vinci. The Meroni UFO is one of, if not the strongest locking product I have seen to secure work trucks and vans. We previously posted about the Meroni UFO in December 2009. The above video shows just how secure the product is when put to the test. Yes, this is a deliberately staged demonstration, but it shows the lengths required for a determined burglar to go to, to defeat the product. How important is the security of your tools or the products you house in your work vehicle? We intend to stock these products in due course. If you are in the trade services business, your tools of trade are vital to your livelihood. So securing them properly is vital to maintaining your income. 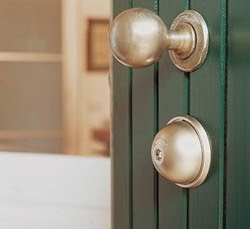 The three commonly found cylinders found in most door locks in America today are Mortise, Rim and Entrance cylinders. Pictured above are left to right are some of the Bilock range of cylinders. These three cylinders can all be keyed into the same master key system easily, providing interchangeable core (IC) configuration, in the only fully guaranteed bump proof pin tumbler system available on the current US market. The mortise cylinders specifically, can be supplied in 15/16" (8 pin only), 1 1/8", 1 1/4", 1 1/2" and 2" varieties. All cylinders can be supplied in any desired keying configuration with up to 16 million codes per keyway, with 2 keys per cylinder. Locks210.com can provide professionally designed and manufactured master key systems tailored to special requirements. 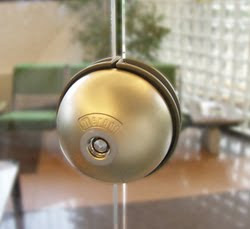 Bilock also sell their own brand of deadbolt locks in different colors. 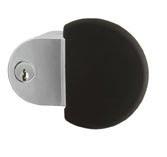 Bilock deadbolts sell from $150.00 but we are happy to discuss discounts in person. We traditionally set up our own systems, using the latest advanced computerised software. All systems are tested by 3 separate people prior to leaving our workshop. We are a quality controlled company. Being the largest mid-west exclusive dealer, we own all our own machinery. We have rarely any need to refer to the factory and we stock parts for most product lines in the USA, in our workshop. We are happy to communicate by email, telephone or even social networking. 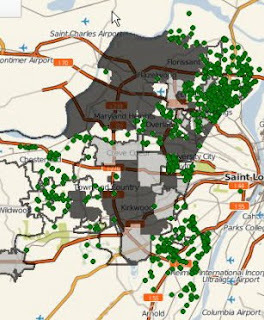 We present a map of the crime statistics reported by participating cities in the greater St Louis area, for March 2010. We have decided to only show Burglary, Larceny and Motor Vehicle Theft at this time. For more accurate results, including street names please view the source. There are about 300 total police reports. 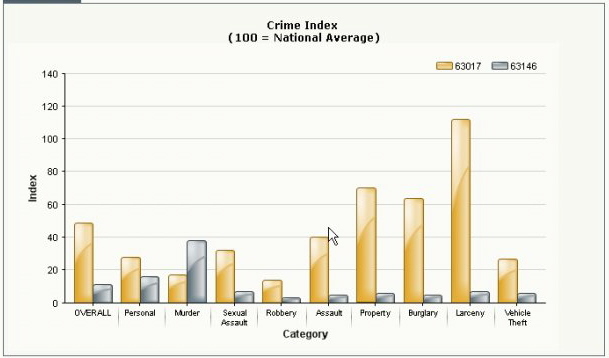 Chesterfield, MO 63017 compared to Maryland Heights, MO 63146, crime rate comparison statistics in 2009. Understanding that these two municipalities enjoy significantly different population sizes and per capita incomes, helps to explain some of the wider differences on the graph. Because there are multiple different sources online for compiling statistics, it is important to verify this information for yourself. 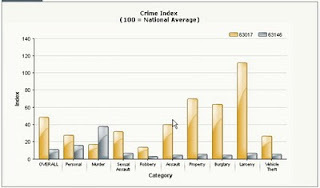 At the time of input, these statistics were presumed correct but can not be guaranteed. Serrature Meroni, the impressive Italian lock and door products manufacturer, have introduced their award winning Pigio line of Push Pull entrance sets and handles into the USA. The Pigio line up includes 3 distinct styles that add dramatic modern aesthetics to virtually any application. Combined with a large push/pull pad and no turning knob or lever, the Pigio series provides a unique mechanism tested to the very high European Union standard CE EN 179 and is now the first of it's kind to be fully approved for installation on emergency exists. The Pigio concept, now available in a variety of trendy materials and finishes, continues Meroni's considerable experience in innovative door opening systems. The mechanism that allows the handle to move, has been rigorously tested to offer the highest efficiency rates and to adapt to it's style and design quality. Beyond it's unique design and features, Pigio can be installed in virtually any context: Entrance and offices, hotel rooms, privacy doors, passageways. Pigio offers suitable and beautiful solutions for all private and public buildings. Pigio 1, the first model, was originally designed by Design Studio Italia and is often held as the base model. Like it's updated models, they all are available in 3 different body coatings, light grey, dark grey and graphite colored coatings. Pigio 2, improved the base model by widening the grip surface to an oval shape and expanded the available color range to 12 varieties. Pigio 3, further improved the product by offering a broader selection of luxury finishes and first class materials. Pigio 3, comes in gold, polished or matte chrome for the body and walnut or cherry wood finishes or elegant black Italian leather for the handles. If elegance is sought, Pigio 3 is well placed as the ergonomical and luxurious solution. Pictured to the left, you can see some applications and why the product is sought after by factories, research laboratories, factories, hospitals and public areas of hotels, bathrooms etc. 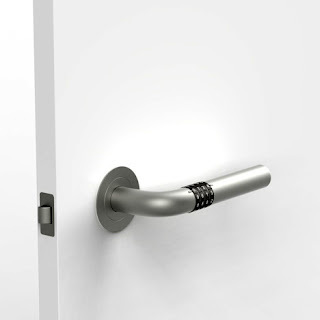 With the increasing interest in better health, Pigio handles are being sought by health concious companies, hospitals, medical surgeries and households intent on minimizing the transmission of bacteria and virus' like last years AH1N1 flu epidemic that spread fear and widespread illness across the world. The Pigio and Combina handles are now available with an innovative polymer, perfectly inert from the microbiological point of view and is the perfect solution for all those areas where hygiene and prevention of the transmission of potential pathogens and microorganisms, play a determinant role. Add the physically challenged or arthritis sufferers to the lists of customers benefiting from this wonderful product and you can understand why this Italian company has continued to grow over the last 60 years. Architects now have increased choices for functional, beautiful, useful, ergonomic and luxury end items to help them to design buildings and offices or homes with the modern appeal and security, discerning customers are looking for. We are pleased to announce, we have been selected as a distributor for this wonderful product in the Mid-West. For additional pricing and finishes, please contact us. 3D is all the rage today. The recent release of new innovative motion pictures utilising 3D imagery has changed the field in the movie making industry and consequently, is finding it's way to the television manufacturing industry. Multiple leading technology companies are muscling for position in this new and lucrative market. So, why not the lock and key industry too? 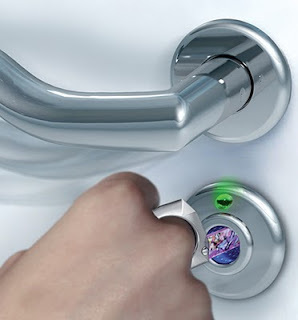 Open Me is a radical new futuristic design that is light years ahead of any present day lock and key system. 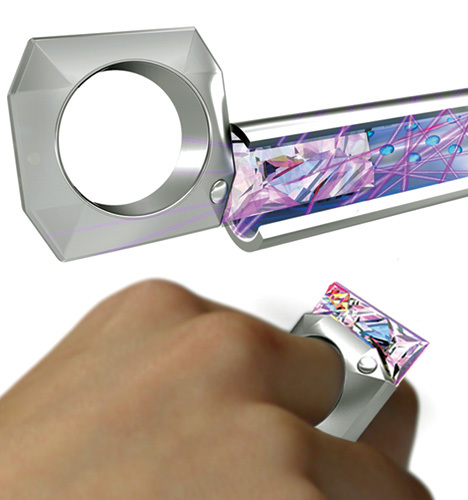 The designers of this system have come up with a way to secure the lock using a 3D scanner that looks for the geometric cut of the crystal embedded in a ring. The wearer simply holds the crystal ring in close proximity to the 3D scanner built into the locking cylinder and if the geometric cuts of the crystal are recognised by the scanner the lock unlocks. Picking or bypassing this technology will take some thought. Numlock is a new concept design handle by a talented European designer Jaeseok Han. The desire of the marketplace is progressively for better access control solutions and Jess's design improves upon the combination entrance set with a simple yet fully functional product that answers many requests for simple, functional security products that maximise aesthetic appeal while maintaing first rate security. 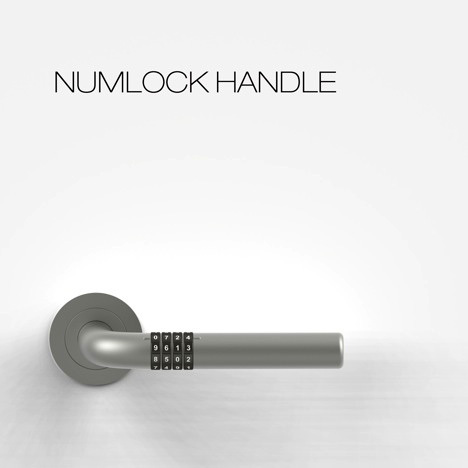 The Numlock handle looks the part with a simple design aimed at users with modern aesthetic desires. It is only a concept, but one that might have some call in the wider market. Pictured to the left is the Cal-Royal LSD-01 Grade 3 Residential deadbolt. 2 1/2" dia. tapered cylinder guard and solid metal insert, turns free with any removal attempt. One-piece solid brass housing for extra strength. Pick resistant solid brass 6 pin tumbler plug "C". Sturdy, all steel latch case and mechanism. Latch and strike screws are 8-32x1" combination wood/machine for applications on wood, metal or fiberglass doors and frames. 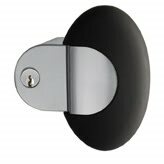 As the largest Bilock Extreme Security dealer in the mid-west, we are now producing limited numbers of our Hybrid Cal-Royal/Bilock Grade 3 deadbolt. By replacing the standard cylinder that comes with the LSD-01, with a Bilock Extreme Security Cylinder and 2 keys, we can offer a totally bump proof and virtually pick proof lock with keys that cannot be duplicated for about $98.00 (depending on the color). When you compare the different brands of deadbolts currently on the market, most will vary in price due to the ANSI grade, the brand name and the quality of construction. Many front or back doors on homes across America, already use Kwikset or Schlage Grade 3 deadbolts as the common product. The average price for these brand name products are between $35 and $70. Considering they do not offer any protection from key duplication, bump or pick attempts, makes this Bilock/Cal-Royal Hybrid combination, a very affordable solution to protecting your family and property. We will also be introducing a Bilock/Cal-Royal Hybrid deadbolt and Strikemaster II Pro door frame strengthener package, soon. This will enable you to secure your doors with the finest lock system available and combine it with the best door frame strengthener on the market. Complete door kick-in protection and pick/bump proof locks for $199.95. Unbeatable Value! To purchase this limited edition product at these unbeatable prices, please email us now.